Mike Allen's Chelsea Clinton email is about access journalism not bias. 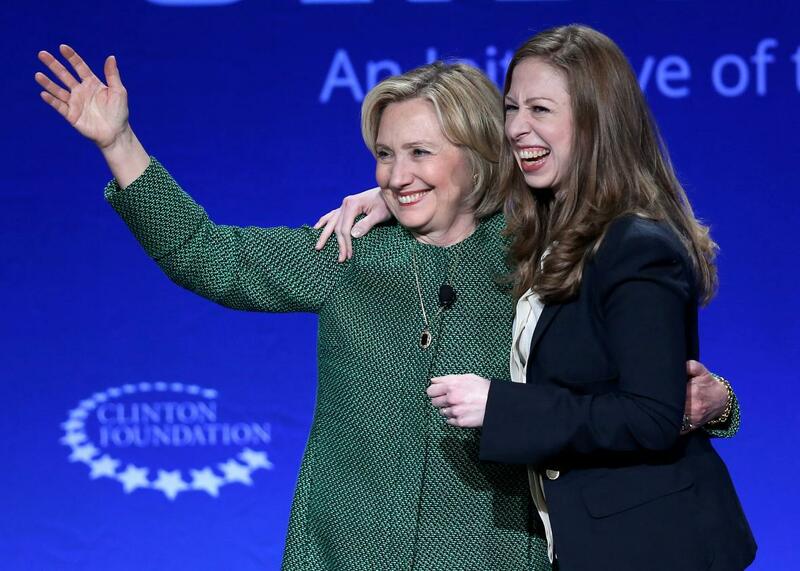 Hillary Clinton and her daughter Chelsea Clinton embrace as they attend the 2015 meeting of Clinton Global Initiative University in Coral Gables, Florida. Politico’s chief White House correspondent Mike Allen, one’s of the publication’s most prominent ambassadors, has been caught committing a serious journalistic faux-pas. Anyone familiar with the basics of journalistic ethics, which generally frown upon making promises to go easy on a subject, will recognize this as inexcusable. All of it is bad, but the “you and I would agree on [the questions] precisely in advance” is a clear violation of the rule that one should not share questions with a subject or her handlers prior to an interview. Politico editor Susan Glasser, in an email to Gawker, writes, “We didn’t end up doing any interview with Chelsea Clinton and we have a clear editorial policy of not providing questions to our guests in advance.” That the interview never went down is irrelevant, though. Allen, in his email, offered to break the “clear editorial policy” that Glasser herself named. It’s hard to see how Allen doesn’t deserve to be reprimanded by his employer here, but since he’s so central to Politico’s brand, the publication is likely hoping that interest in this discovery dissipates over the holiday weekend. Allen, for his part, tells the Washington Post, “I don’t remember this e-mail.” That’s a poor defense, since Gawker has remembered it for him. This seems like a cut-and-dry instance of a journalist stepping over the line in order to secure access to a famous person. Some conservatives, however, witnessed something else: smoking-gun proof of the liberal media in action. Allen got busted offering positive coverage for access to a famous person. That’s a problem. Its connection to the political press’ liberalism is more tenuous.